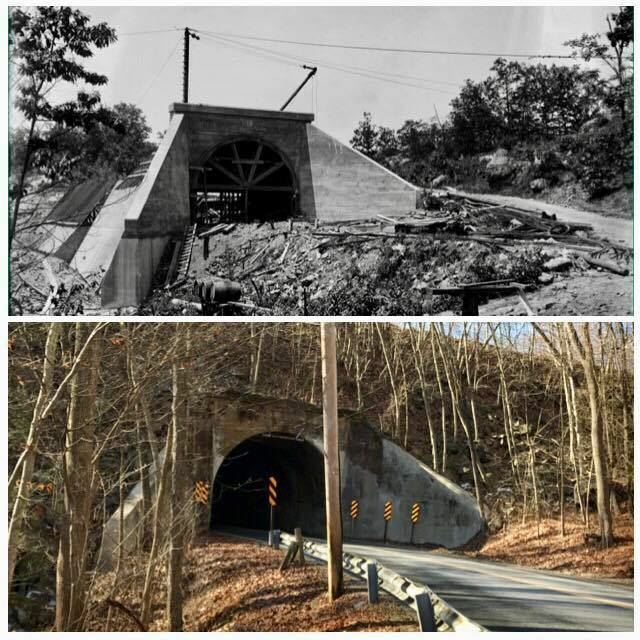 Then and now: the Roadway arch on Lackawanna Drive dated 7/6/1910 shows the north end of the culvert that spans Lackawanna Drive. 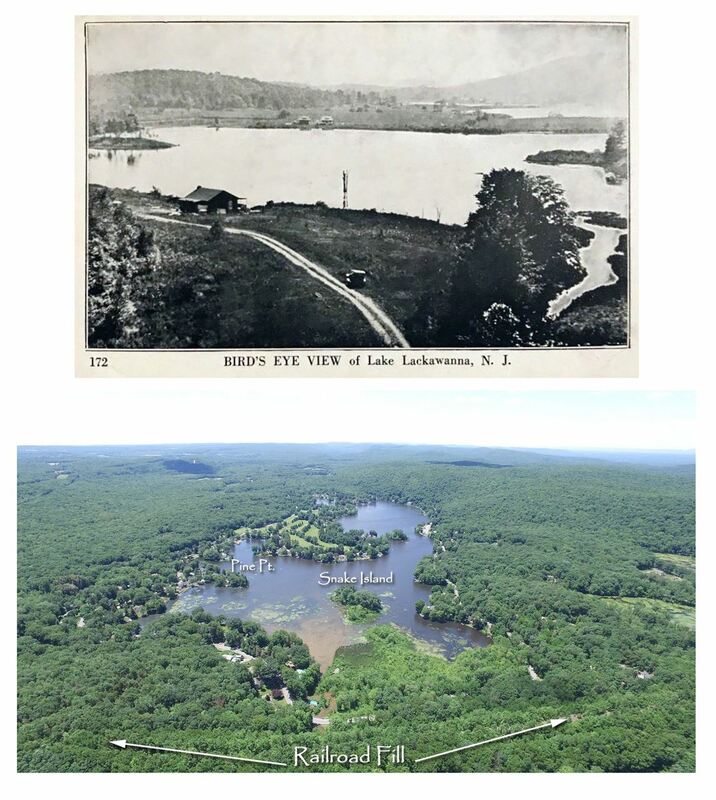 For reference, the future site of Lake Lackawanna, the McPeek and Heminover farms, would be located on the opposite side of the tunnel. At this point in time, the railroad fill has not yet reached this section of the Lackawanna Cutoff. Original photo credit: Original post Lackawanna Cutoff Historical Committee, Steamtown National Historic Archives Collection, Photographer Watson B. Bunnell for the DL&W RR. 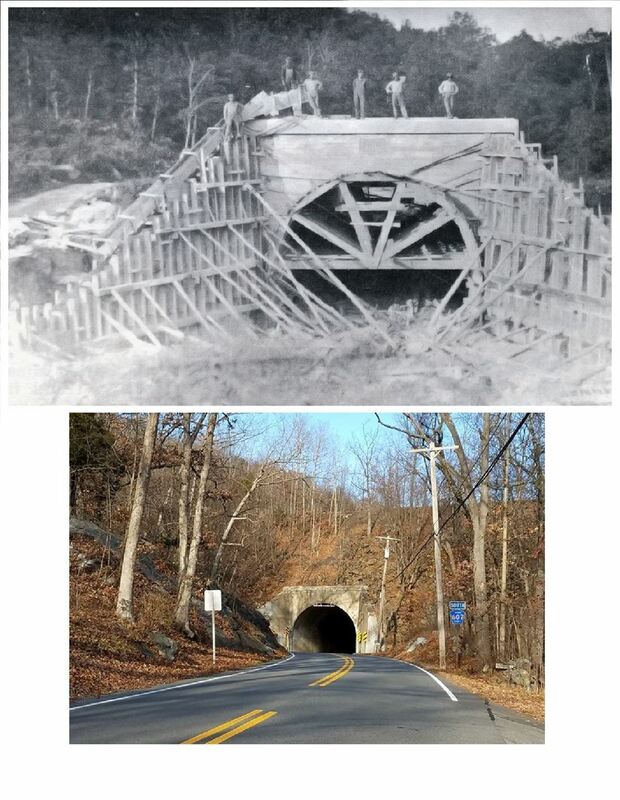 2018 photo by page admin of "Old Byram"
The building of the culvert which spans Lackawanna Drive at the end of the lake. 1910. Now: Here’s a view of the inlet taken from a vantage point well above the railroad fill. There are quite a few more trees in the area today! Drone photo courtesy Alex Rubenstein, 2017.